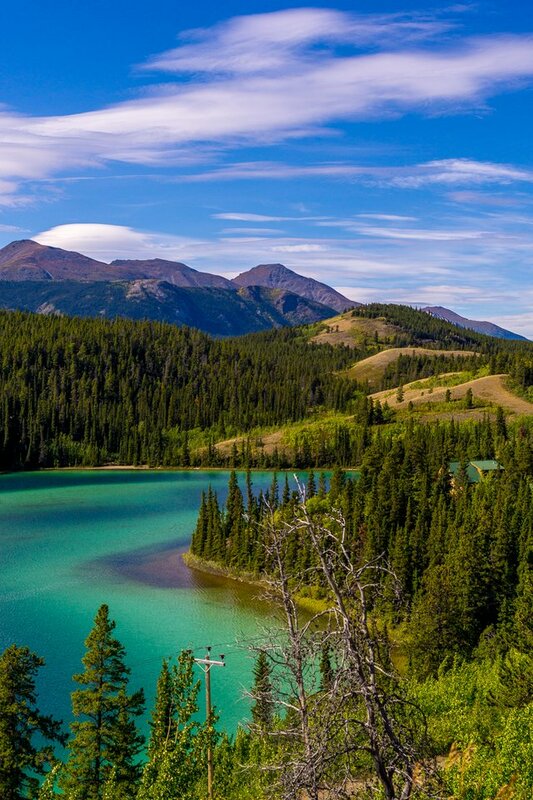 Emerald Lake is breathtaking and be sure to hike around the lake. It is one of my favorite spots in the Canadian Rockies. It is about 60 minutes drive from Lake Louise. Dear @steemfuzzy I just wanna say thank you very very much for depositing 0.001 STEEM to my account. My mom will be so proud if she understood. Much love homez. I really appreciate it stunner!! How beautiful. The colors of water, mountains, forests are incredible. This is gorgeous! I needed to see something beautiful today. Thanks, @steemfuzzy! Wowwww...so relaxing! I love seeing photos of wonderful sceneries like that..
You captured it so beautifully. Thought at first it was a drawing at first glance. Did u do some filter? Beautiful! I must plan to visit here on one of my next trips to Canada! I have done as you asked, thank you. very amazing motivation I want the same way you thank you for the time to me. Thank you for the STEEM Power! deffinitely following and upvoting your posts! Wow what a beautiful paradise! The water is clear as the sky. Thanks for sharing hope you have time to visit my blog. Thank you so much! hello @steemfuzzy happy to meet you. You have helped me. I wish I could be there. I hope Greetings bro. Very beautiful place. Nice photo. Breathtaking is right! Thanks for posting. omg the color of the water is awesome. i really really love this pic. I would have to say, i would swim here. The different colors in the water are what makes this photo stand out, to me. There is such a vast amount of landscaping in this photo as well, it would surely take more than a whole day's worth of time for me to hike all of this! This is just breathtaking! Started following you for your awesome posts and pictures ^_^ will surely look forward for more from you. Steem on! What beautiful pictures.. thanks for sharing! Lake in the Rocky Mountains. The water is clean and the scenery is very beautiful. wow. the sky and the lake really stands out. nice. perfectly captured. Have you been to the spotted lake near osoyoos? If you come out this way anytime I can show you plenty of great views. Driving wrecker I get to travel and find all the back road off the beaten path. It's amazing, a rare sight is found. This post has received gratitude of 3.33 % from @appreciator thanks to: @steemfuzzy. This place is awesome! Wow! Amazing Photograph Really very relax feel see this photo. HI thanks for sending 0.001 steem to me. Actually I do not know how to use it as I am less than 1 week in Steemit. its so beautiful, I've never seen like this. The lake is very breautiful.I like this. amazing photo, great shot @steemfuzzy !!! Thanks @steemfuzzy for sharing such a nice photography. Hi @steemfuzzy thanks again for sending 0.001 STEEM. This much appreciated. And I wanna give thanks by upvoting your post. Woo!! Very Very Thank . for 0.001 STEEM to my account. its edited with software? why so beatifull fhoto. Oh thanks for your giveaway..
Gorgeous! I grew up close to Canada. Visiting the Canadian Rockies would be amazing!